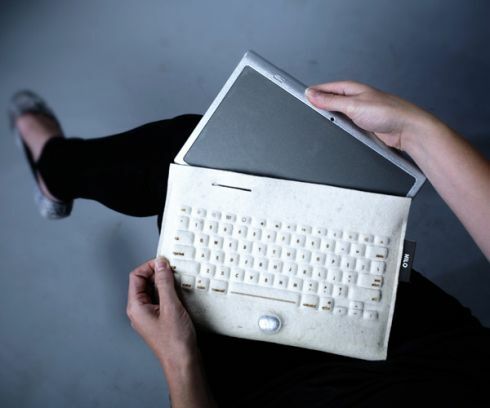 Created by Roni Margolin, the HiLo tablet actually brings up an original idea: how about a tablet pouch that also acts as a keyboard? The device is a 10 inch OLED slate that doesn’t bring anything unusual, while the wireless felt keyboard is the thing that interests me more. 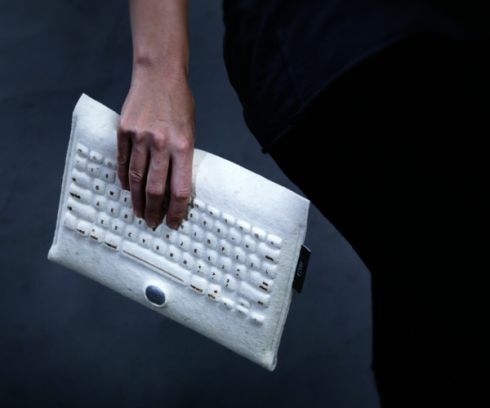 This is more of a jacket than a pouch if you want, that comes with hot pressed circuitry in order to implement the QWERTY keys you see here. 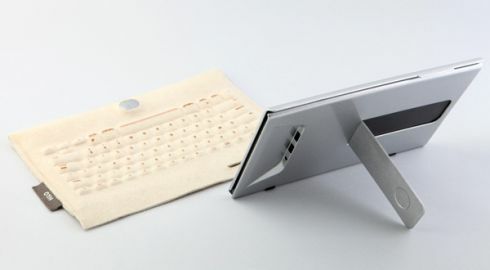 The thing is that hopefully this wireless keyboard won’t connect to devices while you walk on the street and accidentally type stuff on it. I guess that a simple On/Off button can solve that. 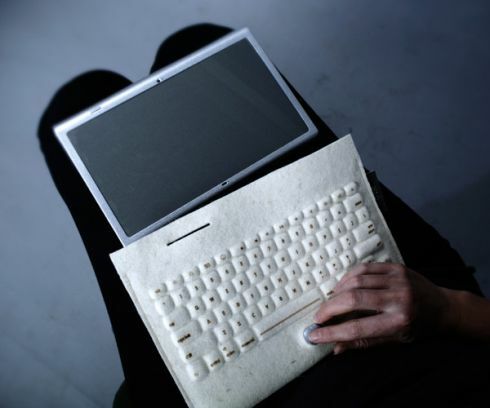 The tablet uses an aluminum and ABS plastic case, while the keyboard is all felt. The combo weighs 1 kg and the HiLo tablet measures 14mm in thickness, which is quite a lot. However, it’s the originality that impresses.